Joel Neves, Voices of Light Conductor, enjoys a dynamic and versatile career as an opera, ballet, and orchestra conductor and educator. A prizewinner in the American Prize in Conducting, Joel is currently Director of Orchestral Activities at Michigan Technological University where he conducts the Keweenaw Symphony Orchestra. He is also Artistic Director and Conductor of the Pine Mountain Music Festival, a professional opera, classical, and folk festival in the Upper Peninsula. Mr. Neves is a frequent guest conductor of the Orquesta Sinfónica de Entre Ríos in Argentina, returning to the orchestra this fall to conduct a program of Brahms Symphony No. 1 and Bloch Schelomo Rhapsody. He also made his professional conducting debut in China with the Hubei Symphony Orchestra in 2015. Equally adept at theatre, Joel has directed numerous opera, ballet, and music theatre productions. He conducted the Minnesota Ballet and KSO in a production of Tchaikovsky’s Nutcracker in 2015, with a return engagement next season. He will conduct Bizet’s Carmen with the Pine Mountain Music Festival in 2018. And he recently directed West Side Story with the KSO and Tech Theatre Company. A strong champion and advocate for college conductors, Joel serves as national President-Elect of the College Orchestra Directors Association (CODA), the only professional service organization for conductors of university orchestra programs. He becomes president in 2018. He is also assistant editor of the CODA Journal, a peer-reviewed academic music journal. Mr. Neves was Assistant Conductor of the Orchestra of Southern Utah from 2006-2009, leading masterworks, pops, and children’s concerts. He has also conducted the Orquestra de Cadaqués (Spain), Bakersfield Symphony Orchestra, Bard Festival Orchestra, and Pine Mountain Music Festival Orchestra. In 2010 he was invited as guest conductor of the Kentucky Music Educators Association All-Collegiate Orchestra. Conducting teachers include noted pedagogues Gustav Meier, Larry Rachleff, Leon Botstein, Daniel Lewis, Don Schleicher, Harold Farberman, Don Thulean, Timothy Russell, and William Reber. 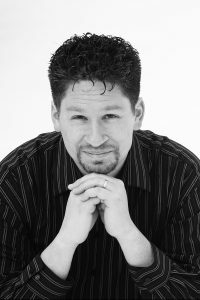 Joel received a Doctor of Musical Arts in orchestral, choral, and opera conducting from Arizona State University and bachelors and masters degrees from Brigham Young University. He currently resides in Houghton, Michigan with his wife (soprano, Lara Neves) and three daughters.